Government of Canada. (2018). Access to Cannabis for Medical Purposes Regulations. The Minister of Justice. Canadian Centre on Substance Use and Addiction. (2018). A new approach to formulating and appraising drug policy: A multi-criterion decision analysis applied to alcohol and cannabis regulation. Rogeberg, O., Bergsvik, D., Phillips, L. D., Van Amsterdam, J., Eastwood, N., Henderson, G., ... & Schlag, A. K. (2018). A new approach to formulating and appraising drug policy: a multi-criterion decision analysis applied to alcohol and cannabis regulation. International Journal of Drug Policy, 56, 144-152. Advancing knowledge on cannabis policy using evidence from North America. Stevens, A., & Pacula, R. L. (2017). Advancing knowledge on cannabis policy using evidence from North America. International Journal of Drug Policy, 42, 36-38. An update on cannabis use disorder with comment on the impact of policy related to therapeutic and recreational cannabis use. Budney, A. J., Sofis, M. J., & Borodovsky, J. T. (2019). An update on cannabis use disorder with comment on the impact of policy related to therapeutic and recreational cannabis use. European archives of psychiatry and clinical neuroscience, 1-14. Fischer, B., Russell, C., Sabioni, P., Van Den Brink, W., Le Foll, B., Hall, W., . . . Room, R. (2017). 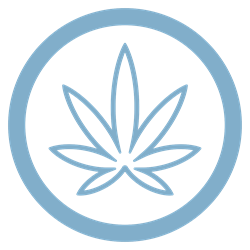 Lower-Risk Cannabis Use Guidelines: A comprehensive update of evidence and recommendations. American Journal of Public Health, 107(8), E1-e12. Compton, W. M., Volkow, N. D., & Lopez, M. F. (2017). Medical marijuana laws and cannabis use: intersections of health and policy. JAMA psychiatry, 74(6), 559-560. 'Parents are the best prevention'? Troubling assumptions in cannabis policy and prevention discourses in the context of legalization in Canada. Haines-Saah, R. J., Mitchell, S., Slemon, A., & Jenkins, E. K. (2018). ‘Parents are the best prevention’? Troubling assumptions in cannabis policy and prevention discourses in the context of legalization in Canada. International Journal of Drug Policy. Allan, G.M., Ramji, J., Perry, D., Ton, J., Beahm, N.P., Crisp, N., . . . & Lindblad, A.J. (2018). Simplified guideline for prescribing medical cannabinoids in primary care. Canadian Family Physician, 64(2), 111-120. Cox, C. (2018). The Canadian Cannabis Act legalizes and regulates recreational cannabis use in 2018. Health Policy, 122(3), 205-209. The need for more consistent evidential standards in cannabis policy evaluations. Hall, W., West, R., Marsden, J., Humphreys, K., Neale, J. O., & Petry, N. (2018). The need for more consistent evidential standards in cannabis policy evaluations. Addiction.